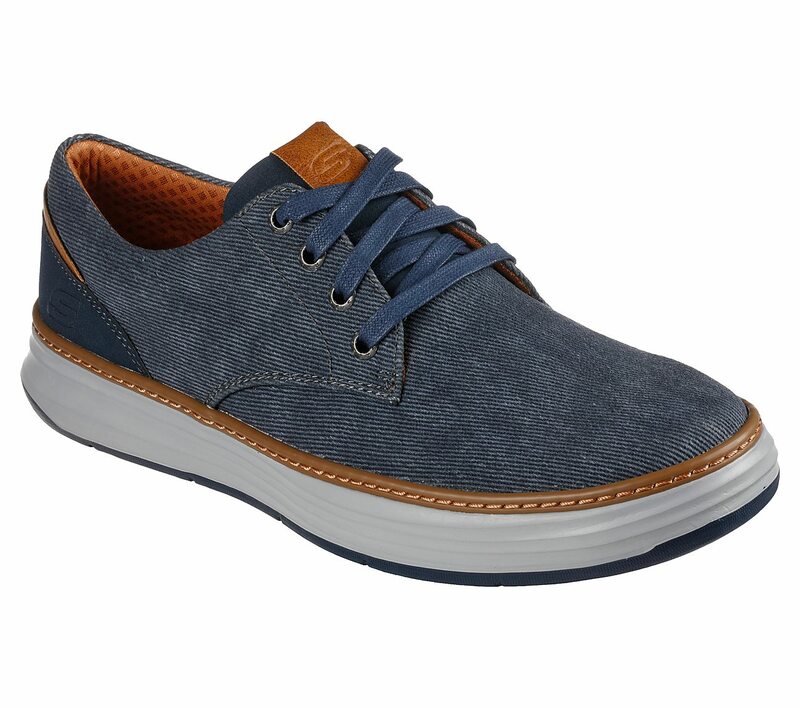 Take it easy with a classic style and upgraded comfort features in the SKECHERS Moreno - Ederson shoe. 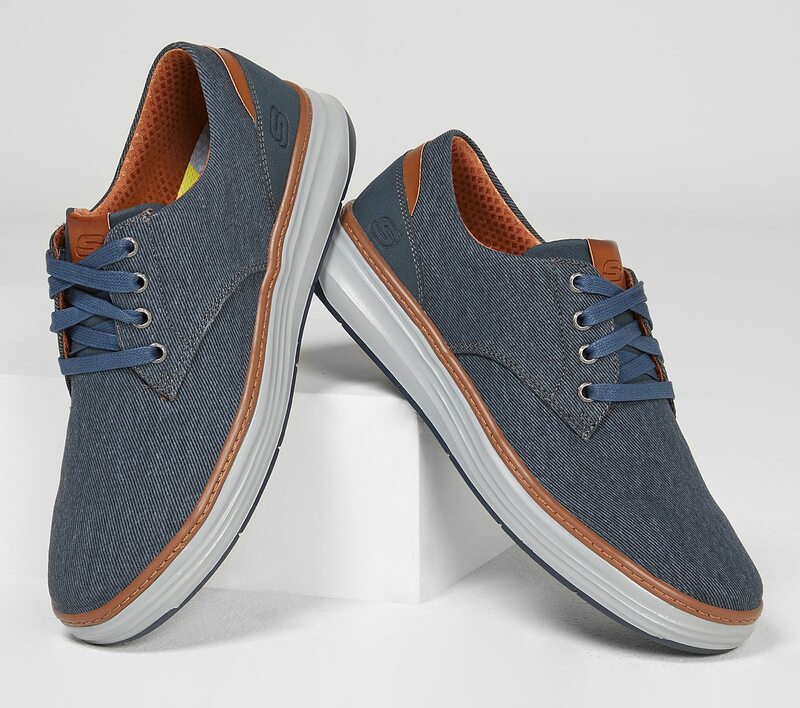 Vintage Washed soft canvas fabric upper in a lace up casual comfort sneaker oxford with stitching accents. 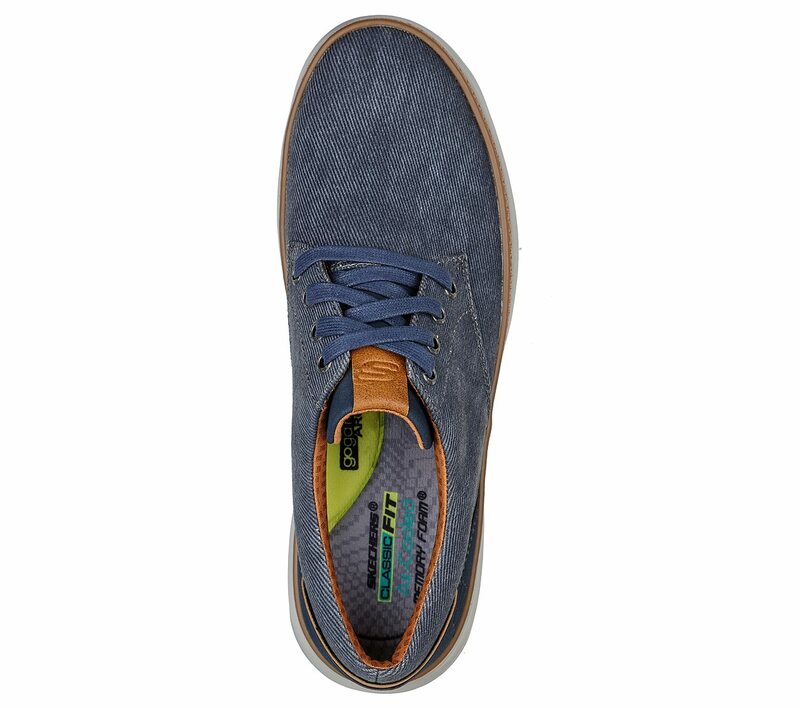 Air Cooled Memory Foam insole.